Video and audio: detailed info about file's container and media streams including subtitles and chapters using MediaInfo. 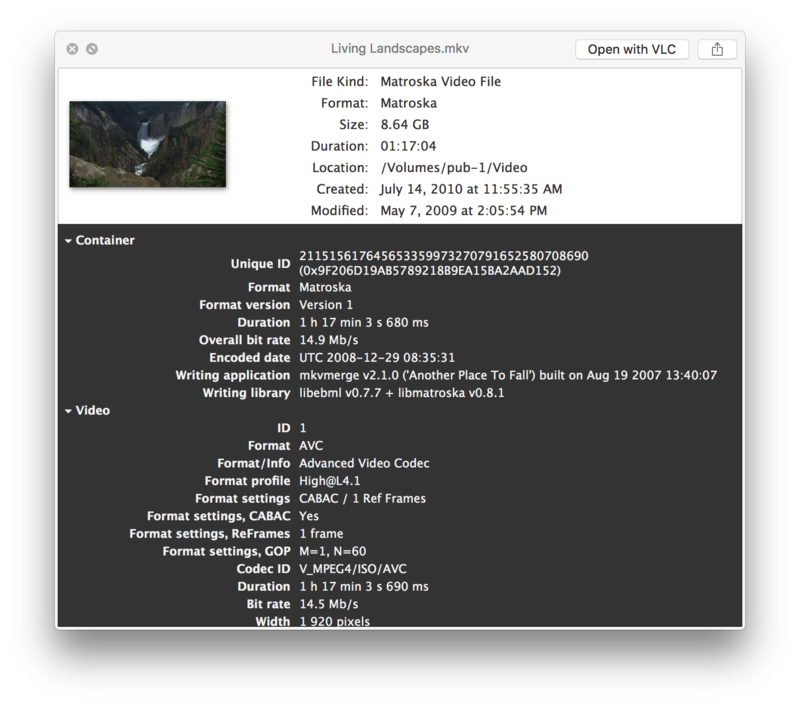 Invisor Lite – free version of Invisor, has the same output as the full version but without export and comparison functionality. 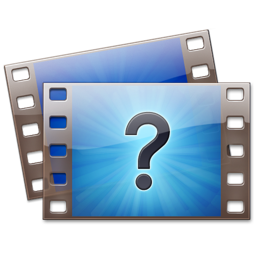 Supported video and audio formats: avi, mkv, webm, mxf, wmv, flac, mka, ogg, wma. 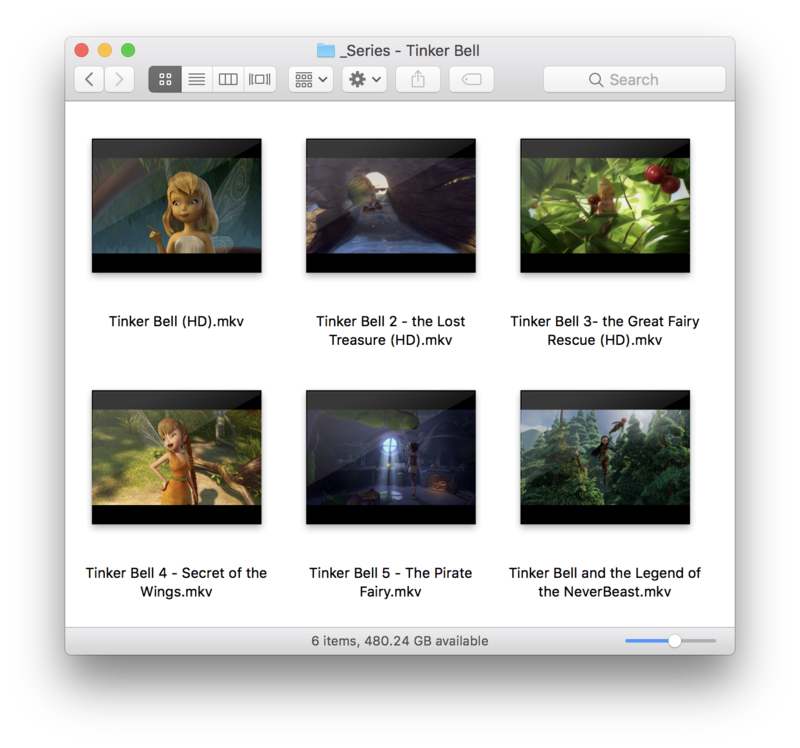 Uses ffmpeg to produce thumbnails. 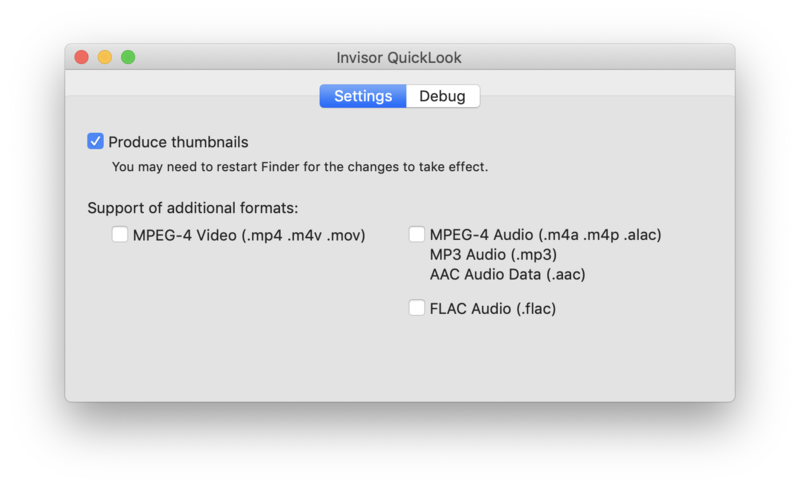 Installation: Put Invisor QuickLook.app to the applications folder (systemwide: /Applications or user: ~/Applications) and run once (and remove InvisorQL.qlgenerator previously installed to Library/QuickLook). Feel free to contact me for any question or request via email or Facebook page.